Originally published in Creation 25, no 4 (September 2003): 19-22. Now before the poodle lovers of the world unite, I do not hate poodles. They may be degenerate mutants, but they are cute ones! We have a pet dog at home. It looks like a poodle, but it’s not a poodle—it’s a Bichon Frise. My friends tell me though that because our dog looks like a poodle and barks like a poodle, then it’s a poodle! Now it may as well be a “poodle” in the sense that it, too, is a degenerate mutant (though I dare not say this in the presence of my wife). Here’s the difficulty. Most of our domestic dog varieties, like poodles, have numerous problems due to harmful mutations. Consider the list (see Miniature poodle problems below) of just some of the many problems in the poodle breed. Now in Genesis 1:31 , God described all that He had created as being “very good”. But how could a poodle, with all these mutations resulting in health problems, be described this way? There could not have been any poodles in the Garden of Eden. In fact, there weren’t any poodles on Noah’s Ark either. Strange as it may sound to some, as a biblical creationist, I can say with certainty that poodles have only come into existence in recent times. So if God didn’t create poodles, then who did? In the journal Science, 22 November 2002, secular scientists reaffirmed something that has been well known and accepted. All dogs from wolves and dingoes down (the word “down” is important as you will see) to poodles are all closely related. From a biblical perspective, this means they are all within the same kind (one of the kinds that God created to reproduce “after their own kind” as we read 10 times in Genesis 1). “Two-kilogram teacup poodles; 90-kg mastiffs; slender greyhounds; squat English bulldogs: For a single species, canines come in a vast array of shapes and sizes. Even more remarkably, they all come from the same stock. 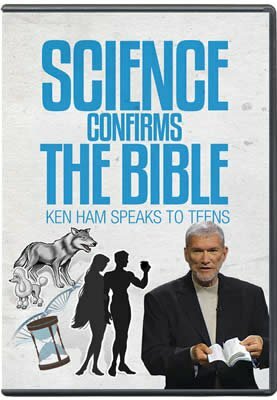 … Only subtle differences distinguish dogs from coyotes, jackals, and other canids, making family trees difficult to construct and the timing of the transition from wolf to dog hard to pinpoint.”2 Now how does this fit with a biblical creationist model of origins? Many articles in this magazine have illustrated the fact that natural selection and speciation are real, observed processes—understood by the science of genetics. 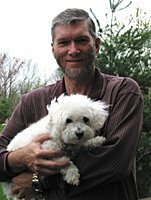 If all dogs are the same kind, then from a biblical perspective, only two of the original dog kind were needed on Noah’s Ark. After these dogs came off the Ark and the population of dogs increased on the earth, new species of dogs formed as the dog population split up and moved to different places over the earth—but they are all dogs, nonetheless. Most students in evolutionary-biased education come to believe that mutations and natural selection result in one kind of creature changing into a totally different kind over long periods of time. However, seldom, if ever is the fact presented that for evolution to occur it is necessary for new genetic information to be added to a creature. To date, no example of completely new additional information from a naturally occurring mutation or selection has been observed. The diversity of species in, for example, dogs, cats and horses, has arisen because of their already-existing genetic information, acted upon by natural selection and mutations. Now in the world, environmental and other issues affect which organism with a specific collection of genes will survive. Humans can artificially affect the outcome by determining which animals breed with which. This is called artificial selection—and this process developed the enormous varieties of domestic breeds in the time since the Flood, 4,500 years ago. So we could say that God created the original dogs, and poodles were developed by man from that original—but only using the information God put there in the first place. So in a sense one could say God made poodles—but only in the sense that God made all the original perfect information for dogs (which existed in the Garden of Eden), which enabled poodles to exist. And that brings us to the other issue. Poodles (like all domestic varieties) are the result of a downward process! They have not just developed from dog genes, but from cursed copies of dog genes! Sorry about that—but it is true that dogs like poodles are the result of the Curse! Each time I arrive home and our pet Bichon races to the door to meet me, I am reminded of my sin, that I, in Adam, sinned and ushered in the Fall. Now my wife may think I’m nuts, but I’m trying to illustrate an important point here. After God pronounced everything as “very good” originally, Adam sinned, resulting in the whole of creation being cursed. Everything began to run down, no longer upheld perfectly by the sustaining power of an infinite creator. As each succeeding generation of creatures (including man) was produced, copying mistakes and mutations affected the genes. Six thousand years later, there is quite a genetic load (collection of such mistakes) in the genomes of all the animals and humans on this earth. Although some mutations can be beneficial (in a limited sense),6 most mutations are harmful. The most serious mutations would not survive “naturally” in the environment, as they would be lost from the population as the dogs that carried them died before reproducing. However, with dogs, humans can take those with particular mutations and keep them alive by feeding them special food, cutting their hair, taking them to veterinarians for medicine and operations, etc. Also, the reason we call many of our domestic varieties of dogs “pure breeds” is that most of the genetic variety has been bred out of them, and certain mutations have been concentrated within particular groups. Our dog has to have its hair cut each month (because of a mutation affecting the shedding of its hair), is susceptible to bladder stones (it had to have a very expensive operation), and now lives on pricey prescription food, and needs estrogen tablets regularly! I’m thinking about health insurance for the dog! Now when one breeds poodles with poodles (why people do this is hard to come to grips with), only poodles will be produced, sadly! In a sense, a poodle is the end of the line for a dog—there is not enough variety left for anything different to develop. Now, theoretically, in a sense, if one were to start with wolves, and breed generations of dogs, breeding the right combinations together with all the same sorts of mutations occurring all over again in the right sequence etc., then one could breed a dog with poodle characteristics. But, one could never breed a wolf from a poodle because the necessary information for wolves has been corrupted or deleted. There is an important lesson to learn from this. The secular world uses natural selection/speciation as a major part of the supposed evidence for molecules-to-man evolution. However, as we’ve shown so many times, such changes have nothing to do with this sort of evolution. People need to be educated about this so they are not brainwashed and led astray by the world’s teachings. Sadly, many Christian children’s books that deal with creation often have pictures of Adam and Eve and the animals in the Garden where the animals pictured are domesticated varieties we are familiar with today—like poodles, Jersey cows and so on. So churches teach students (or at least give the impression) that God created poodles (and the other domestic varieties of animals). However, public schools teach their pupils that such creatures have developed by processes of change that are incorrectly presented as “evolution.” Thus, in reality, they are being taught that Christianity doesn’t accept real science and therefore the Bible must be wrong. It is so important for churches to teach Christians the right way to look at the world—giving them a correct understanding of science and history, so they will be able to see through the evolutionary indoctrination of the world. Poodles really are a reminder of both creation and the Curse. So the next time you see a poodle, perhaps you could use it as a talking point to explain sin—but go on to explain the message of salvation to overcome the effects of sin. Savolainen, P., Zhang, Y.P., Luo, J., Lundeberg, J. and Leitner, T., Genetic evidence for an East Asian origin of domestic dogs, Science 298(5598):1610–1613, 22 November 2002. Pennisi, E., A shaggy dog history, Science 298(5598):1540–1542, 22 November, 2002. Spetner L.M., Not By Chance! The Judaica Press Inc., Brooklyn, New York, 1997. Wieland C., Muddy waters: clarifying the confusion about natural selection, Creation 23(3):26–29, 2001; Wieland C., Goodbye, peppered moths, Creation 21(3):56, 1999; Lester, L., Genetics: No Friend of Evolution, Creation 20(2):20–22, 1998; Gitt, W., So, What Are the ‘7 C’s’ Anyway?, TJ 10(2):181–187, 1996. See also Q&A: Speciation. Gilbert, L., Pet crests, <www.petcrest.com/poodlehi.html>, 1 April 2003; Standard Poodle, ThePuppyShop.com, <www.puppydogweb.com/caninebreeds/poodles.htm>, 1 April 2003; The American kennel club, The Complete Dog Book, Howell Book House Inc., New York, pp. 609–617, 1979. While some mutations can be beneficial, they are not evidence for evolution, because they don’t add any new information to the genome. For example, if a beetle on a windswept island is born without wings, it would be less likely to be blown into the sea. See Wieland, C., Beetle bloopers, Creation 19(3):30, 1997.